The field of soft computing is emerging from the cutting edge research over the last ten years devoted to fuzzy engineering and genetic algorithms. 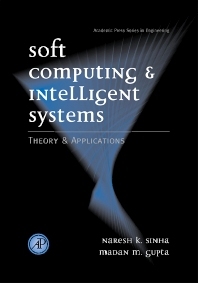 The subject is being called soft computing and computational intelligence. With acceptance of the research fundamentals in these important areas, the field is expanding into direct applications through engineering and systems science. This book cover the fundamentals of this emerging filed, as well as direct applications and case studies. There is a need for practicing engineers, computer scientists, and system scientists to directly apply "fuzzy" engineering into a wide array of devices and systems. Professional and academic research level engineers involved in the design of systems and devices. Naresh K. Sinha is Professor Emeritus and Adjunct Professor in the Department of Electrical and Computer Engineering at McMaster University where he has previously served as department chairman and as the Director of Instructional Computing in the Faculty of Engineering. Professor Sinha is a Life Fellow of the IEEE and is a Registered Professional Engineer in the Province of Ontario, Canada. His current research interests are in the areas of adaptive control, system modeling and identification, robotics, intelligent control systems and industrial applications of modern control theory. Madan M. Gupta is a Professor of Engineering at the University of Saskatchewan and Director of the Intelligent Systems Research Laboratory. Professor Gupta is a Fellow of the IEEE and a Fellow of the SPIE. He is the author of numerous books in the areas of fuzzy logic, fuzzy control, neural systems and control systems and the author or co-author of more than 650 research publications. In addition to numerous honors and awards, in 1998 Dr. Gupta received the prestigious Kaufman Prize Gold Medal for research in the field of fuzzy logic.